If you are planning to assemble a personalized desktop or computers first things first you must know what parts or component of computer that you might need before buying. For a budget friendly or small budget we can buy 2nd hand or the cheapest computer parts that we can find online or in a computer store wholesale used components or if you have a lot of money or budget better buy new computer components to use in assembling your new desktop computers. So why assemble if you have the money to buy new computers? Because you will never learn what are the parts or component inside of your desktop computer? Creating your very own desktop will give you the idea on what are the parts needed to build a fully functional desktop? You will learn their purpose and you will be able to fix your computer on your own if something gets wrong? 1. Desktop Case – this should be the first thing to buy when assembling a desktop computer, it will serve as the housing of your computer where all the parts are all placed or installed. 2. Power supply – this would serve as the power source of your motherboard that supply through all the components. 3. 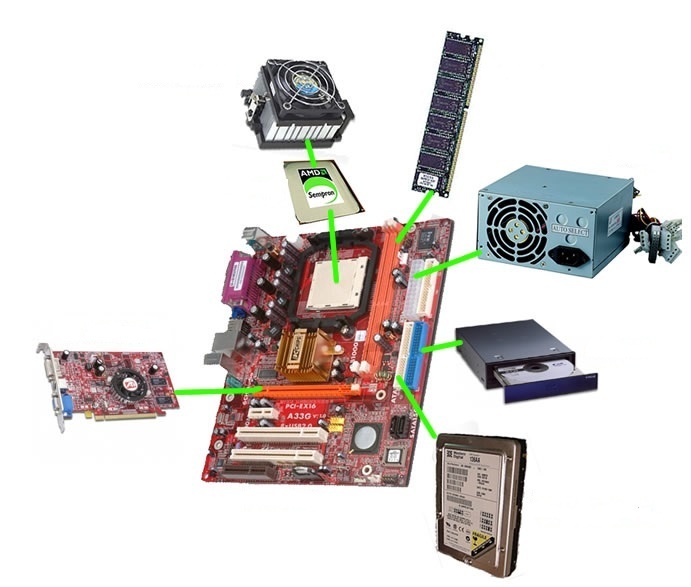 Motherboard – is the main parts of a computer where it serves as the backbone of all parts, this is where all the parts are installed together. 5. RAM – serves as the memory of the computer, the higher the RAM the better its performance. 6. Hard disk drive – this is where the operating system is installed and files stored. 7. CD Rom or DVD Rom – this is used for booting disk or reading any disk whether it’s a program or movies. 9. Power Cord – it is a cord that connects to desktop computer from the main electricity via a wall socket or through AVR. 11. Keyboard - is being used for typing. 12. LCD or LED monitor – used for viewing the computer windows. 14. Computer table - this is where you put the desktop computer. Once the computer parts are completed and programs are completely installed and placed in a comfortable working station you can now use it for whatever purposes it may serve? Whether for gaming? Business and others. Always remember the parts that you are buying should be compatible with one another, so that to avoid conflict or malfunction. Especially the compatibility of a motherboard, processor and ram, Always ask for assistance when buying computer parts whether its new components or second used.